We’ve created two new TV PSAs that encourage parents and caregivers to take action and not hesitate to reach out for help for their child who is struggling with substance use. 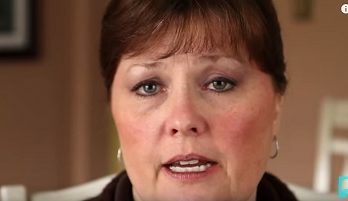 Both PSAs feature real parents whose children faced an addiction to prescription opioids. Upon discovering his son was misusing prescription pills, David stated, “I felt like a failure, as many parents do, but the problem was bigger than him. He needed help so I confronted it.” His son has now been in recovery for a few years now. The new PSA’s will air in conjunction with the Partnership’s larger parent testimonial campaign, across both national and local TV. To learn more about opioids, and to get support for families struggling with opioid misuse, visit. https://drugfree.org/heroin-opioid-epidemic/. To view these and our other TV PSAs, visit The Partnership on YouTube. Join us on Thursday, April 18 from 3:00-3:30 p.m. EDT for a Facebook Live discussion about substance use and mental health disorders in teens and young adults. Tune in to hear from experts from Child Mind Institute, and Center on Addiction + Partnership for Drug-Free Kids. Center on Addiction and Partnership for Drug-Free Kids announced today they are merging under the name Center on Addiction.